‘Black Panther’ broke through an Oscar category wall for superheroes. The Marvel blockbuster hit became the first comic book-based film to earn a best picture nomination from the Academy Awards on Tuesday. It was a major step for comic book movies, which had previously been shunned from film’s top honour. The most notable snub was 2008’s ‘The Dark Knight,’ prompting the academy to expand the best picture category from five to up to 10 nominees. It took a decade, but ‘Black Panther’ cracked the category after becoming a box-office hit and a cultural phenomenon. The film earned $700 million (Dh2.5 billion) in North American during its theatrical run. 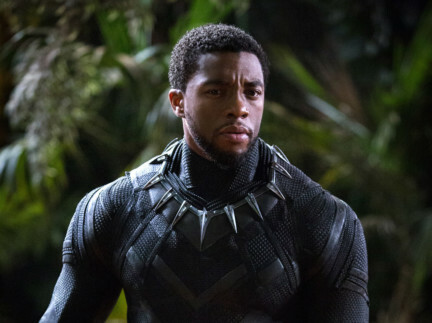 Overall, ‘Black Panther’ was rewarded a total of seven nominations including Hannah Beachler and Jay Hart’s production design, Ruth E Carter’s costume design and Kendrick Lamar and SZA’s song ‘All the Stars.’ The film was also nominated for best sound editing, sound mixing and original score. “To break down a wall like that, to be your ancestors’ wildest dreams, to show other young women of colour and boys and girls that you can do whatever you want no matter what struggles you have in your life — all of that. That’s what it means to me,” said Beachler, talking by phone from the Cincinnati set of Todd Haynes’ latest film. Ludwig Goransson, who scored the film, gave a lot of credit to the film’s overall success to director Ryan Coogler, who was shut out of the directing category. “He’s an exceptional leader,” said Goransson of Coogler, who he’s known since college. The Grammy-nominated producer said his rapport with the director put together “memorable music” for the film.